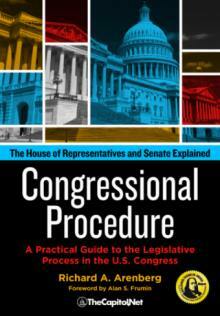 Congressional Procedure, explains the legislative and congressional budget processes along with all aspects of Congress. Congressional Procedure is included as part of the program materials in our public and custom Congressional Operations Briefing - Capitol Hill Workshop. 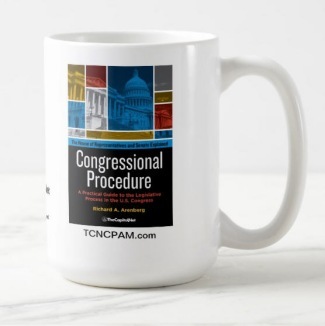 If you are a professor and teach courses on Congress, you can request an Examination Review Copy of Congressional Procedure using our request form, here. The Founders had high hopes for Congress.They created the institution in Article I of the new Constitution in 1789. The first section of that first article establishes the Congress and confers sweeping legislative powers: "All legislative Powers herein granted shall be vested in a Congress of the United States, which shall consist of a Senate and House of Representatives." The powers of Congress are so extensively laid out that Article I takes up more space in the Constitution than Articles I through VII combined. The Founders set up the elaborate system of checks and balances to assure that no one branch of government could dominate, but most of the Framers fully expected the legislative branch to play the lead role. James Madison in The Federalist No. 51 wrote, "In republican government, the legislative authority necessarily predominates." Yet, throughout our history, the American people have been skeptical of Congress and the legislative body has suffered in the eyes of the American people. In 1897, Mark Twain wrote, "It could probably be shown by facts and figures that there is no native criminal class except Congress." Former Congressman Mo Udall (D-AZ) loved to tell the tale of a constituent who wrote to him, "Of all the rats and snakes elected to represent the people and carry out their wishes, you rank head and shoulders beneath the lowest." Congressional approval ratings have been reliably low since the beginning of public opinion polling in the United States in the 1940s, dipping as low as 9% approval in November 2013. With the exception of the nation's reaction in the wake of the September 11 attacks when the approval of Congress doubled virtually overnight to 84%, Americans have held the institution of Congress in low regard. The Gallup Poll historical average is about 33%. Former Senate Majority Leader George Mitchell (D-ME) said that "The attitude of the public toward elected officials in American democracy has always been one of skepticism...."
George Mitchell cautioned, "It is a mistake to think of politics as something separate and apart from the rest of society. Politics are subject to the same influences. ...These influences of modern life--technology communications and changing standards in public life and the media--have led to a decline in public trust and confidence that is felt by all of our major institutions. ...Congress has been a particular recipient of current negative attitudes because it is so prominent, public, and focused on by the media." The mainstream media is attracted to the drama and personalities of the partisan warfare on Capitol Hill. Much less coverage is focused on the understanding of the nitty-gritty of how Congress actually works. For most American citizens and immigrants, Congress is a black box. They can see much of what goes in, and what comes out, but the process in the box is opaque. This book will attempt to open that black box and examine the machinery in a way that is accurate but accessible. It seeks to educate the layman and average voters, but also hopefully to contribute to a fuller understanding of Congressional procedure by students in the classroom and those who deal directly with the legislative branch, and perhaps even some within it. Woodrow Wilson called law making "the dance of legislation." He added, "It is not surprising ... that the enacting, revising, tinkering, repealing of laws should engross the attention and engage the entire energy of such a body as the Congress." Even members themselves who too often yield leverage and power that they might otherwise wield, simply because they do not know the rules, may benefit. Former Congressman John Dingell (D-MI), who served in Congress longer than any member, 59 years, said, "I'll let you write the substance...you let me write the procedure, and I'll screw you every time." Procedures matter. The protector of stability, comity, and fair play in the House and the Senate is procedure. 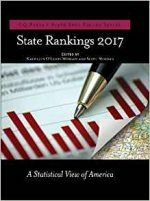 Chapter 1 examines the relationship between the U.S. Constitution and the House and Senate. It discusses Constitutional provisions that directly affect Congress. It continues with an examination of the rulemaking process in each chamber. It examines the qualifications for members of Congress, and contrasts the constituencies that individual members of each body represent. The makeup, roles and leadership of the House and Senate are compared and contrasted. Congressional committees and their place and power in the House and Senate are explored. Chapter 2 begins with a discussion of why members submit legislation, explains the forms of legislation, and lays out the steps involved in drafting legislation. Bills, joint resolutions, concurrent resolutions and simple House and Senate resolutions and their purposes are separately described. The chapter explains the roles and effects of sponsorship and cosponsorship of legislation and what happens when legislation is submitted. Also addressed is how the respective chambers refer legislation to committees for consideration, and finally, the peculiarities of Senate Rule XIV. An important section that will reverberate through much of the book is the analysis of "regular order" and how members in both chambers circumvent procedure. Chapter 2 ends with a flowchart of the legislative process. 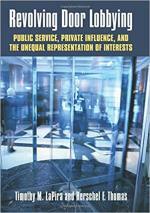 In Chapter 3, the work of Congressional committees is examined in greater detail. First, the types of committees and their structure is described, including the establishment of subcommittees and how they relate to the full committees, particularly on the flow of legislation. 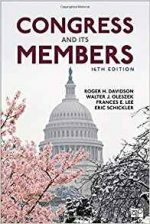 The chapter focuses on the power of the chairs of committees, the importance of seniority, term limits, and the role of ranking members of committees. Chapter 3 also attempts to demystify hearings, markups and the amendment procedure in committee. 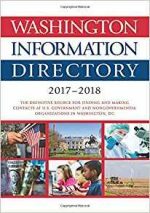 It traces the process of shaping legislation through these stages and the reporting of legislation to the House and Senate floor including the filing of committee reports. The next two chapters follow the course of legislation through the respective chambers. Chapter 4 addresses some of the unique characteristics of the House including the central and crucial role played by the Rules Committee and the special rules it reports. The scheduling, consideration, amending, and passage of legislation through the House is described in detail. Both in Chapter 4 and in Chapter 5, an effort is made to unpack some of the more arcane elements of House and Senate floor action. Chapter 5 is dedicated to the handling of legislation on the Senate floor. The absence of a mechanism like the House Rules Committee and the individual leverage of members of the Senate along with more flexible rules, makes the Senate a very different body than the House. Intended by the Framers to balance the often faster moving House, the Senate's rules and precedents help to make it frequently the slower and more deliberative body. In Chapter 5, appropriate attention is paid to unique Senate characteristics like the filibuster, the nuclear option, holds, and the filling of the amendment tree. When the House and Senate pass differing versions of legislation, the differences in legislative language must be resolved and the identical text passed by both houses before it can be presented to the president for signature. Chapter 6 explains the various procedures for accomplishing this objective. At times, amendments will be traded back and forth between the houses before a consensus is reached. That process, sometimes described as "ping-ponging," is detailed in this chapter. For many years, the most common way of resolving differences in legislation between the Senate and the House was the formation of conference committees. The rules governing conferences are few and much can occur once legislation is in conference. Conference committees have become a less used procedure in recent years. In recent years, House and Senate leaders are more likely to rely upon amendments between the houses or informal negotiations. The steps followed to convene a conference committee and alternative means of resolving differences between the chambers are closely examined in Chapter 6. The budget process is addressed in Chapter 7. The 1974 Budget and Impoundment Control Act and the key role it has played since its adoption is explored. Especially noteworthy is the use of the optional budget reconciliation process, which has mushroomed beyond its original intent and become a major source of circumvention of the normal Senate rules. Also explained is the somewhat complex but crucial Byrd Rule, which prohibits the use of reconciliation for non-budgetary provisions. The appropriations and authorization procedures are also discussed in Chapter 7. Chapter 7 also explores other "expedited procedures" that limit debate in the Senate and therefore avoid the effect of the filibuster. A prime example is the War Powers Resolution. 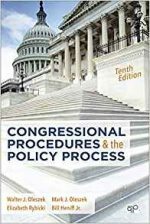 Chapter 8 concludes the detail and analysis of Congressional procedure with a number of processes that are not strictly legislative. Two categories are included. First, there are a number of Constitutional responsibilities given to Congress that are described, including the Senate’s obligation to provide advice and consent to the president on nominations, executive and judicial, and on ratification of treaties. Also, the procedures for amending the Constitution itself are illuminated. An old and interesting struggle between the president and the Congress that recently reached the Supreme Court centers on recess appointments authorized by the Constitution. This case is described and its significance analyzed. Congress’s oversight and investigatory powers are not explicitly listed in the Constitution, but they are implied by other Congressional powers and are as old as Congress itself. Related to these powers are the legislative vetoes included in some legislation. These subjects are discussed in Chapter 8. The role Congress plays in the counting of Electoral College ballots and the potential election of the president and vice president by Congress are explored. Congress has, under the Constitution a critical role to play in establishing presidential succession and in the creation and operation of the federal courts. Also discussed are procedures under Article I, Section 5 for expelling a member of the House or Senate or denying a Member-elect a seat in either body. Finally, two Constitutional powers involve impeachments and trials by the Congress of judges and executive branch officials, including the president. These powers and the importance of provisions in the 25th Amendment involving temporary or permanent removal of the president from office are explained in Chapter 8. 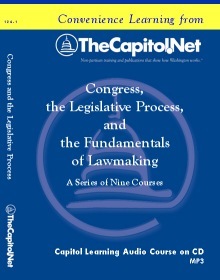 The second category covered in Chapter 8 includes explanations of Congressional procedures in the rules including the important differences between recessing and adjourning of the Congress, how Senate morning business and House special orders are routinely used, and the implications of appeals of rulings of the chair. 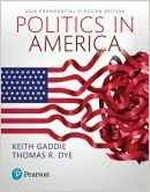 The conclusion, Chapter 9, describes the way in which many of the procedures explained in this book are increasingly being used, and some would say abused, in both the House and the Senate. Nineteenth century Prussian Prime Minister, Otto von Bismarck, famously warned, "If you like laws and sausages, you should never watch either one being made." Yet, democracy demands the constant vigilance of the citizenry. We must not turn away. At the same time, in many ways, the high hopes with which the Framers infused the Congress have been realized. Bismarck also said that "politics is the art of the possible." We are familiar with the many ways in which Congress has been dysfunctional, but in fundamental ways the Congress has proved both stable and resilient. We should remember that the central hopes around which the Constitution was built include the protection of liberty and the rule of law. Senator George Mitchell (D-ME) points out that "the men who wrote the American Constitution had as their overriding objective the prevention of tyranny in America. They had lived under a British king; they did not want ever to have to live under an American king. They placed the highest value on individual liberty. In retrospect we can see they were brilliantly successful. As of 2018, we have had forty-five presidents (counting Grover Cleveland twice) and no kings. Americans enjoy a combination of personal freedom and shared material prosperity that is without parallel in the world, and arguably without parallel in human history. Therefore, who is to say that the institutions created by the Constitution don't work? More than two hundred years into the experiment, Congress continues to succeed at that. 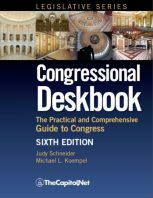 A glossary of terms relating to Congress, its procedures, and related institutions follows the concluding chapter. Also see related CRS Reports and links on TCNCPAM.com. Richard A. Arenberg is Clarence Adams and Rachel Adams Visiting Professor of the Practice of Political Science and a Senior Fellow in International and Public Affairs at Brown University. 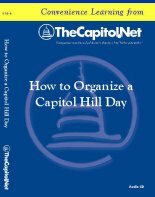 He is the author of Congressional Procedure: A Practical Guide to the Legislative Process in the U.S. Congress (TheCapitol.Net). He previously taught at Northeastern University and Suffolk University. He worked for Sens. Paul Tsongas (D-MA), Carl Levin (D-MI), and Majority Leader George Mitchell (D-ME) for 34 years. He served on the Senate Iran-Contra Committee in 1987. 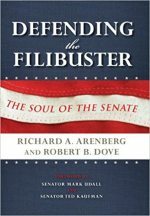 Arenberg is co-author of the award-winning, Defending the Filibuster: Soul of the Senate, named "Book of the Year in Political Science" by Foreword Reviews in 2012. 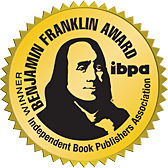 A second edition was published in 2014. 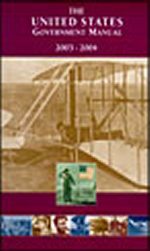 The U.S. Senate Historical Office published "Richard A. Arenberg: Oral History Interviews" in 2011. He serves on the Board of Directors of Social Security Works and the Social Security Education Fund, and he is a Senior Congressional Fellow at the Stennis Center for Public Service Leadership. He is an affiliate at the Taubman Center for American Politics & Policy. His work has appeared in The New York Times, The Washington Post, The Providence Journal, Politico, and The Boston Globe. He is a Contributor at Newsmax and The Hill. Arenberg holds bachelor's and master's degrees from Boston University. The views expressed in this book are those of the author. They do not represent the views of his employer or of TheCapitol.Net. 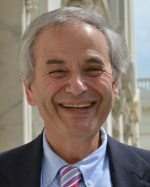 Alan S. Frumin is Parliamentarian Emeritus of the U.S. Senate. Have a suggestion for Congressional Procedure? If you have a suggestion for a change or addition to a future edition of Congressional Procedure, please contact us or complete our online suggestion form. 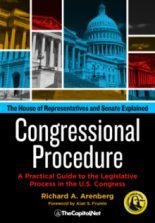 Find Congressional Procedure in a library near you. 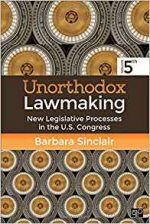 "Congressional Procedure offers insider-level understanding of how legislation passes through the House and Senate, handling a dry topic with great precision and clarity." 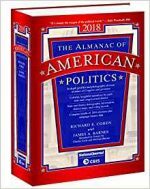 "Richard Arenberg knows Congress from the inside out, from his decades working inside the Senate to his years teaching about it and writing about it. 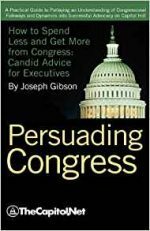 His new book, Congressional Procedure, reflects his experience and insights. 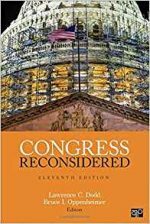 The title does not do it justice: this book is a primer on all things Congress, a comprehensive and readable guide to what Congress is supposed to do, what it actually does, and why there is sometimes a disconnect."